"... revisionist romantic fantasy masquerading as history" -Nick Schager. "No other single event in American history has captured public imagination more completely." 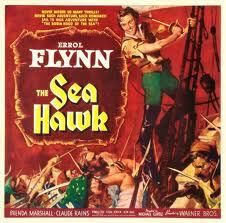 This 'Sea Hawk' poster captures Flynn's swashbuckling appeal on screen. Flynn in the western 'Santa Fe Trial'. 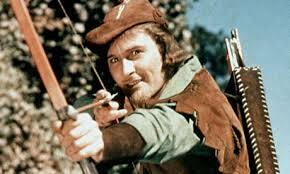 The Custer of this movie is built around the screen persona of its star, Errol Flynn. During the late 1930s and the forties Flynn was one of Hollywood's most popular actors, popular with both male and female moviegoers. Flynn's flamboyant and forthright personality was reflected in many of his films of the era. His athleticism, roguish good looks, cheerful demeanour and on-screen rapport with his leading ladies meant that he could combine action and romance in one role. 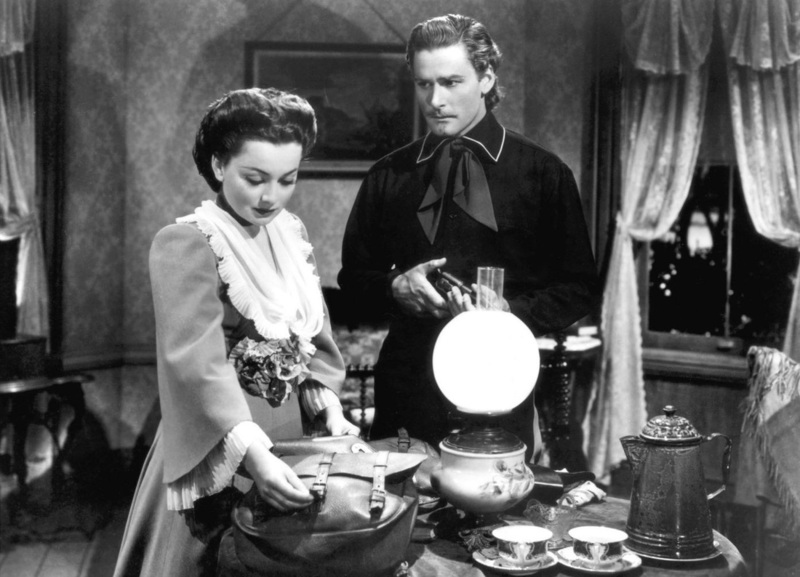 This was the eighth and final movie he made with Olivia de Havilland, who plays Custer's fiercely devoted and loving wife Libby. Boots is a western biopic, following Custer's career from his escapades at West Point to his civil war exploits to, of course, his demise at Little Bighorn. Aspects of Custer's domestic life are interposed between scenes of action. The critical view now holds that director Raoul Walsh is rather more accomplished with the military than the romantic aspect of Custer's life. Historical accuracy is not a hallmark of They Died With Their Boots On, nor was intended to be. 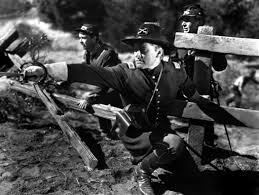 The movie's Custer is essentially a projection of Flynn's exuberant, swashbuckling, romantic on-and off-screen persona. 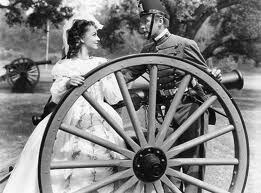 This Custer is brave, loyal, devoted to his wife, a fine soldier and a great leader of men. He is even portrayed as the protector of Indians, trying to save them from the greed and violence of those seeking gold in the Black Hills. 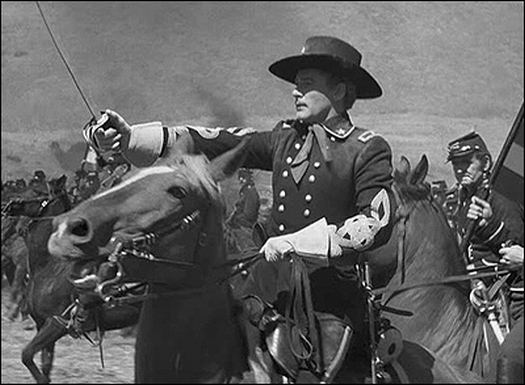 If it wasn't for Errol Flynn's likeable, lighthearted personality shining through, his Custer would be rather unbelievable. 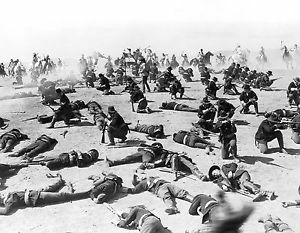 They Died With Their Boots On, however, does present an interesting although historically implausible interpretation of the last stand.Custer gallantly sacrifices himself and the small force under his command in order to prevent the Indians from attacking General Terry's much larger groop of troops who are unaware of the enemy's proximity. Custer (and his men) died nobly in order to protect the rest of the regiment. 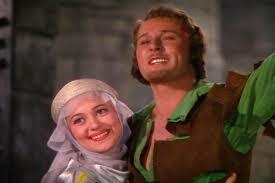 Flynn and de Havilland in what was probably their most famous pairing, in Michael Curtiz' 'Robin Hood'. Flynn as a dashing officer in the British army in the Crimean War. 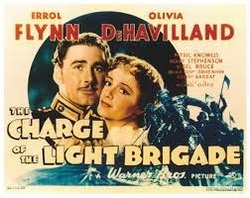 Flynn and O'Hara in Michael Curtiz' classic 'The Sea Hawk". They Died With Their Boots On purports to show Custer's life from his days at West Point, his courtship and marriage, Civil War deeds and the events leading up to Little Bighorn.